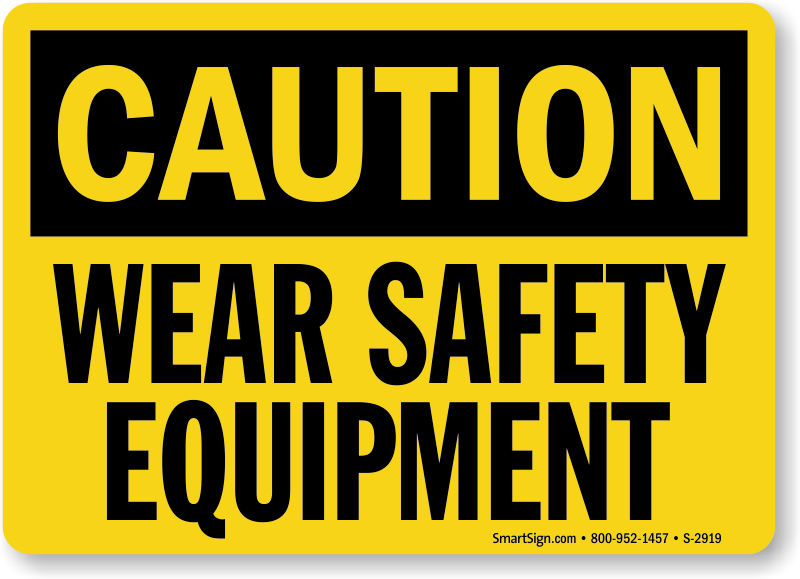 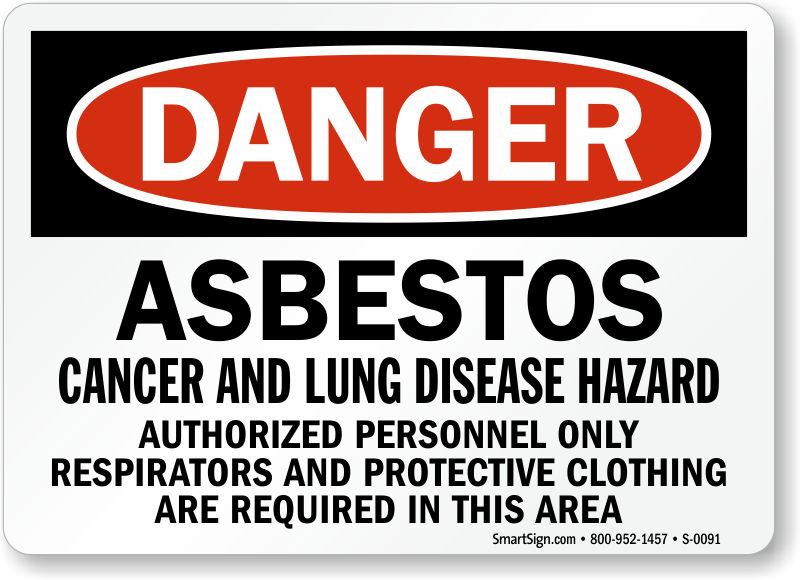 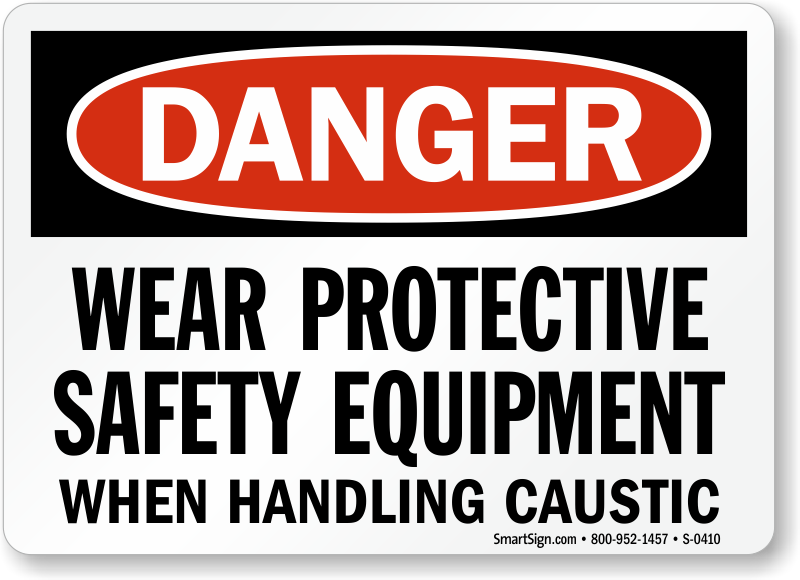 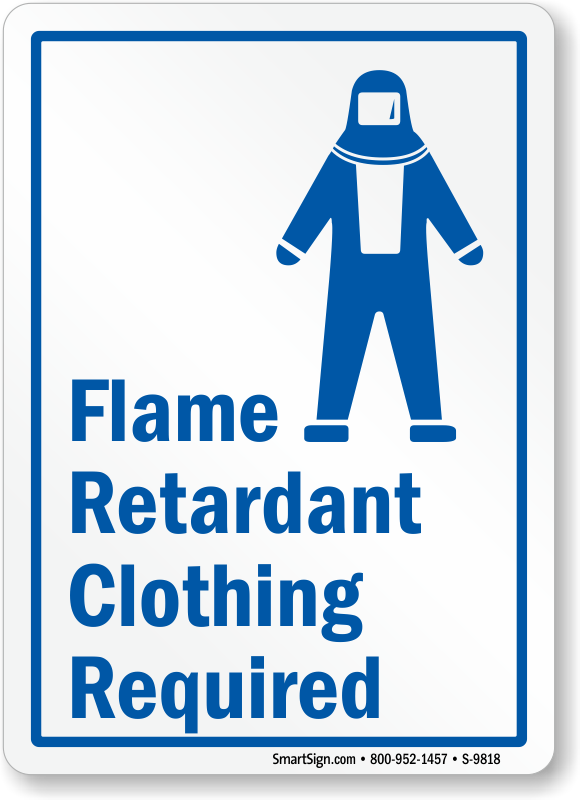 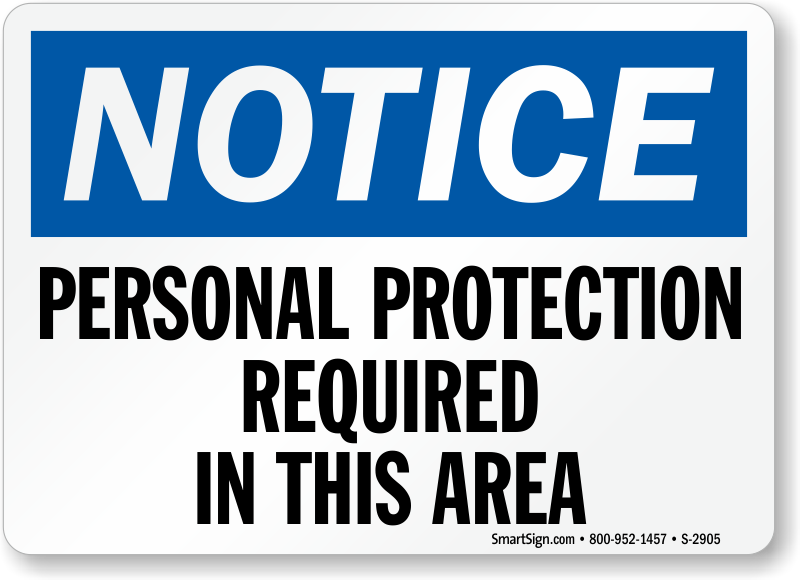 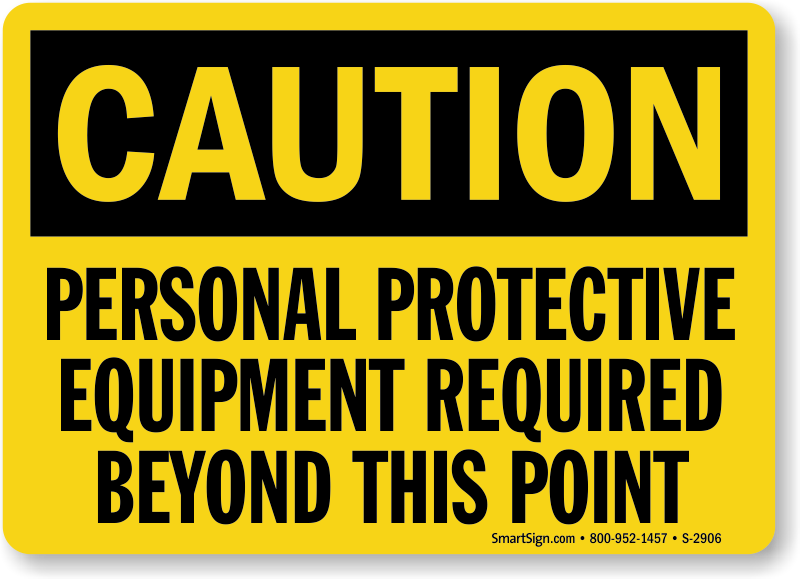 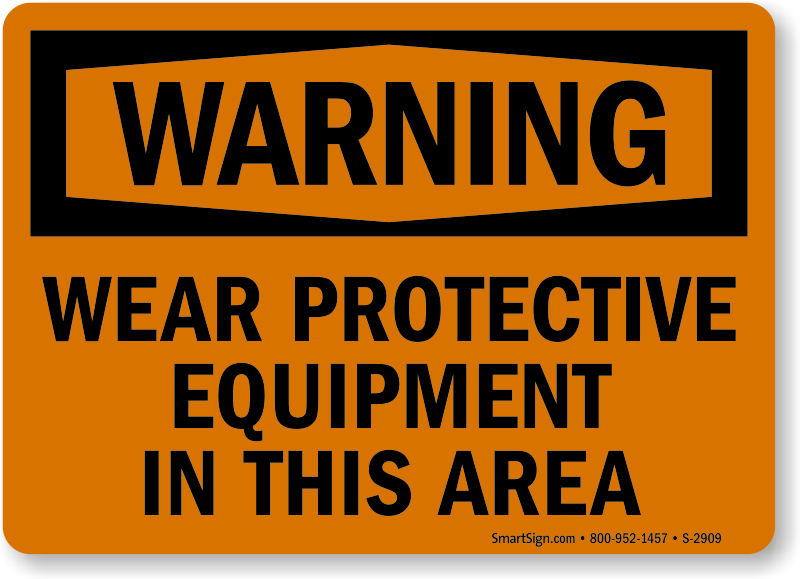 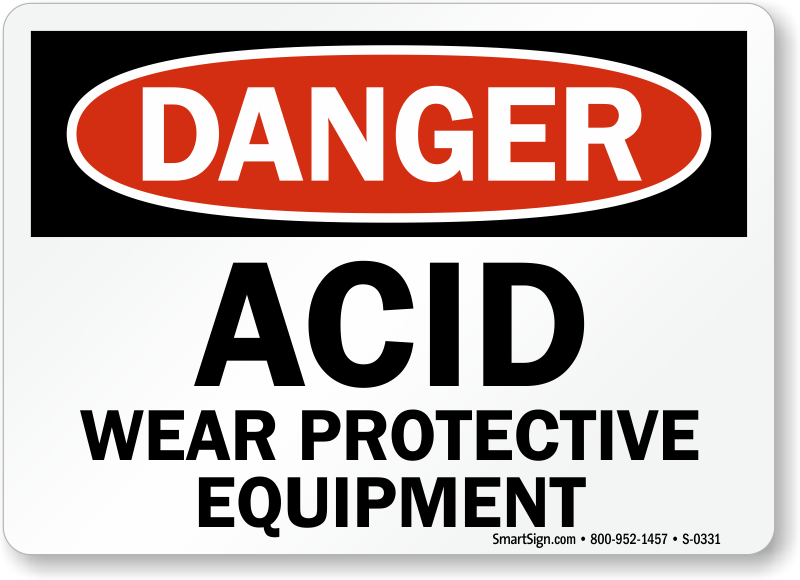 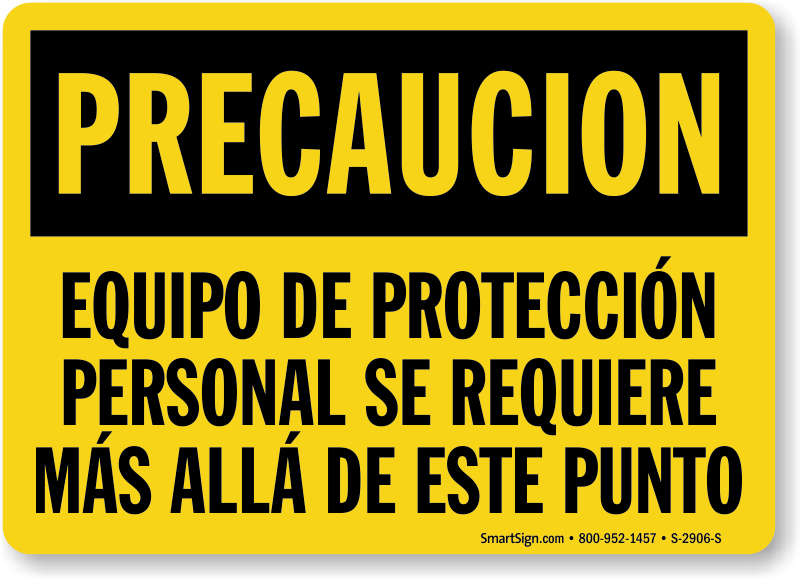 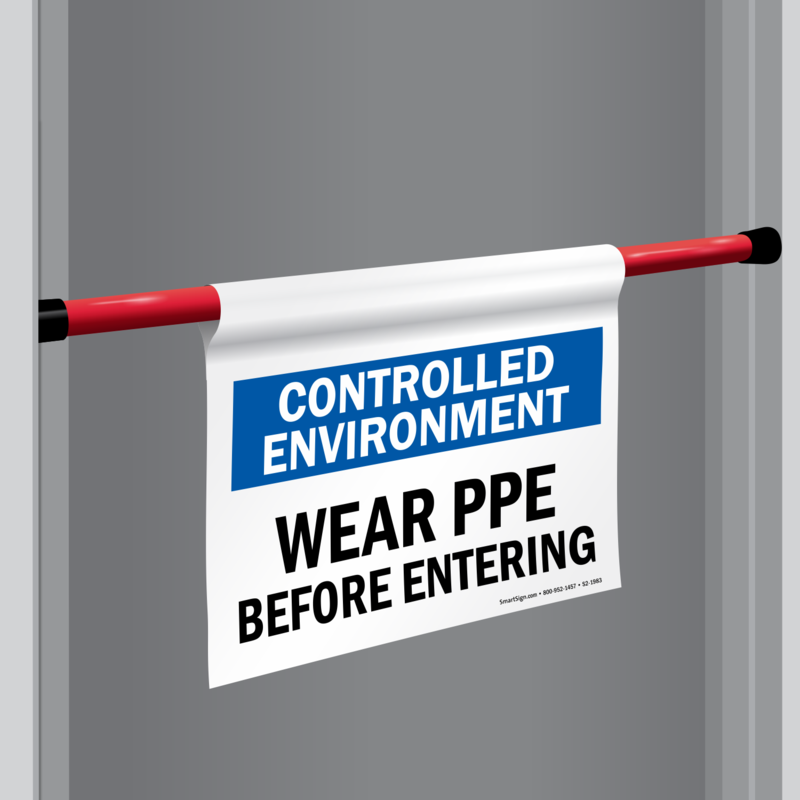 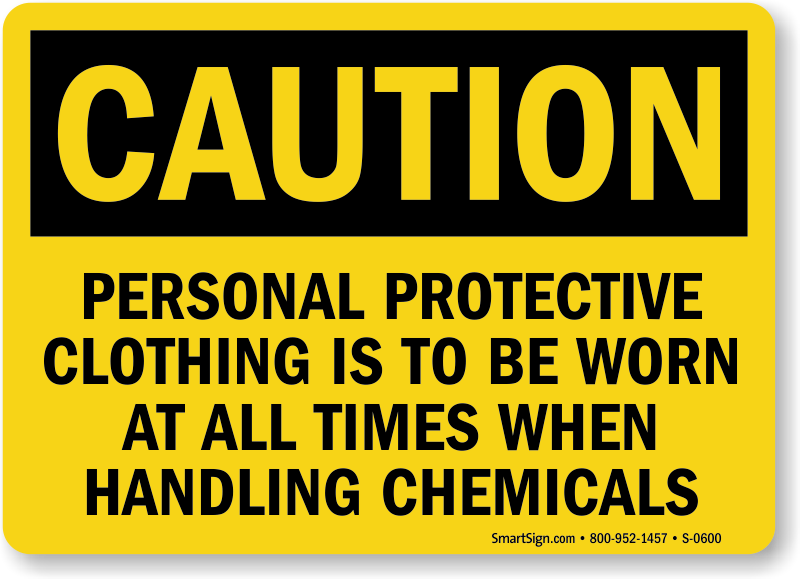 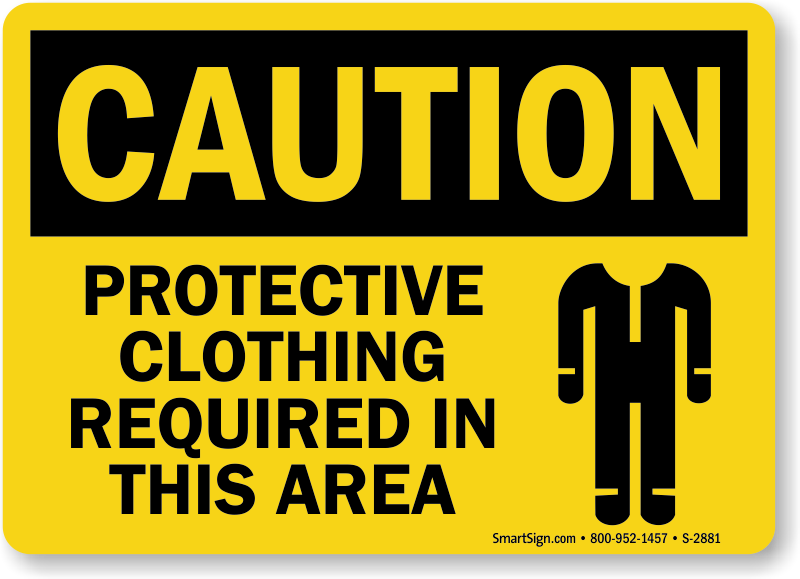 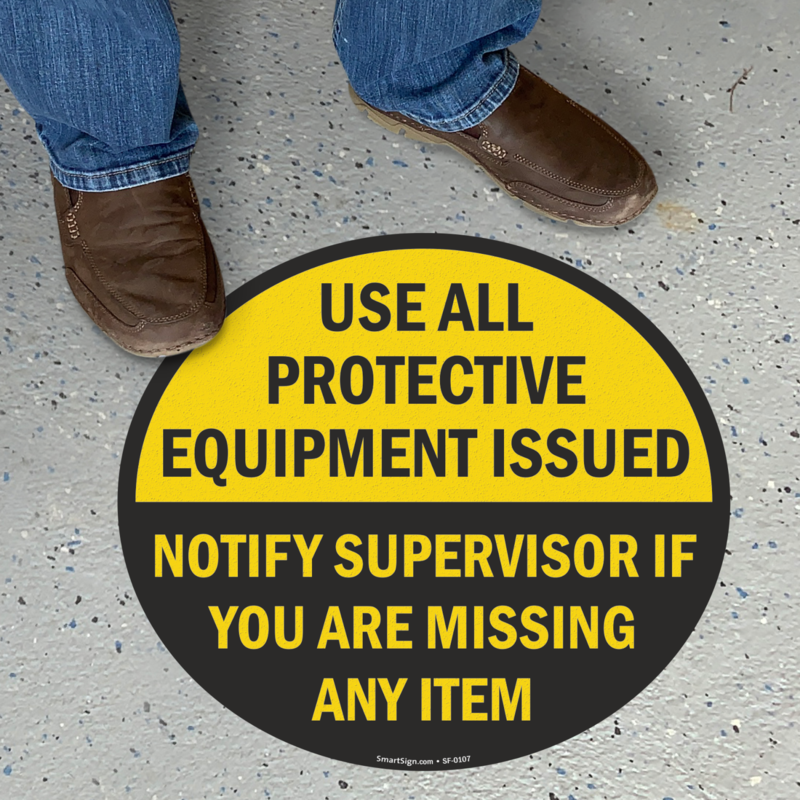 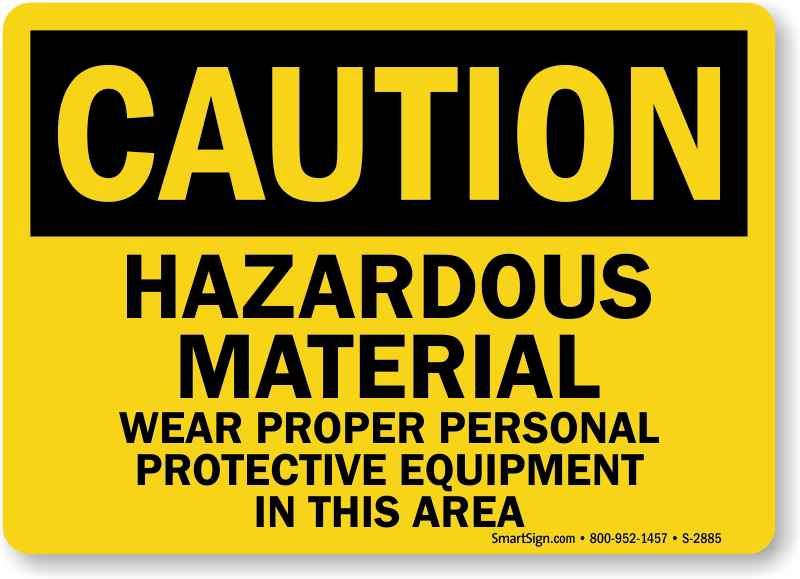 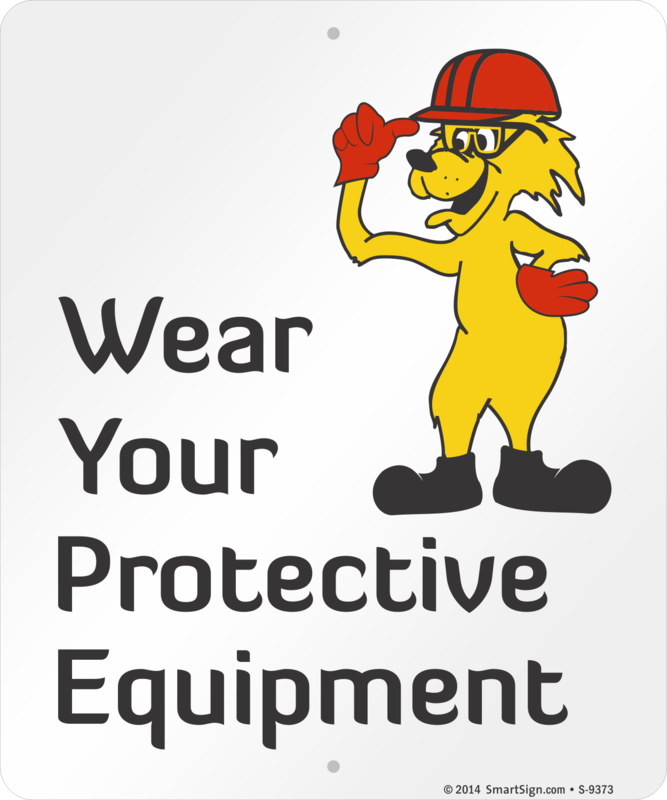 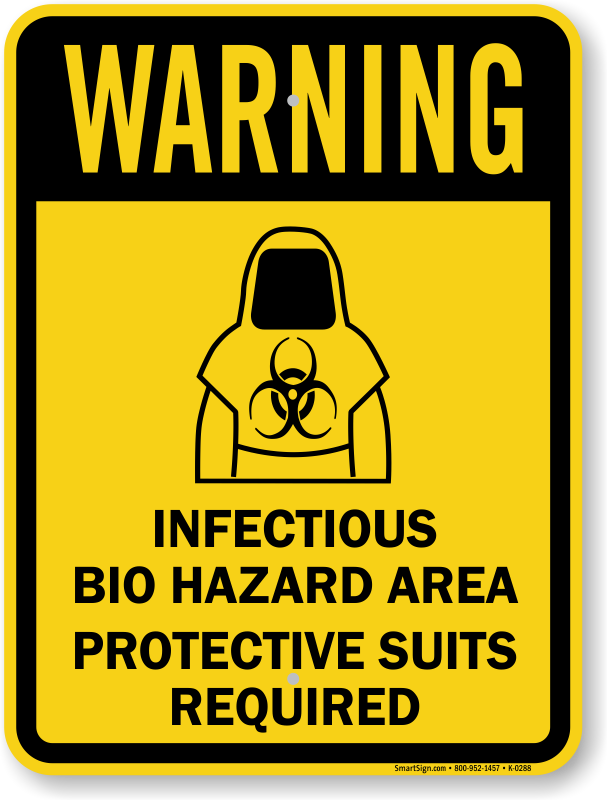 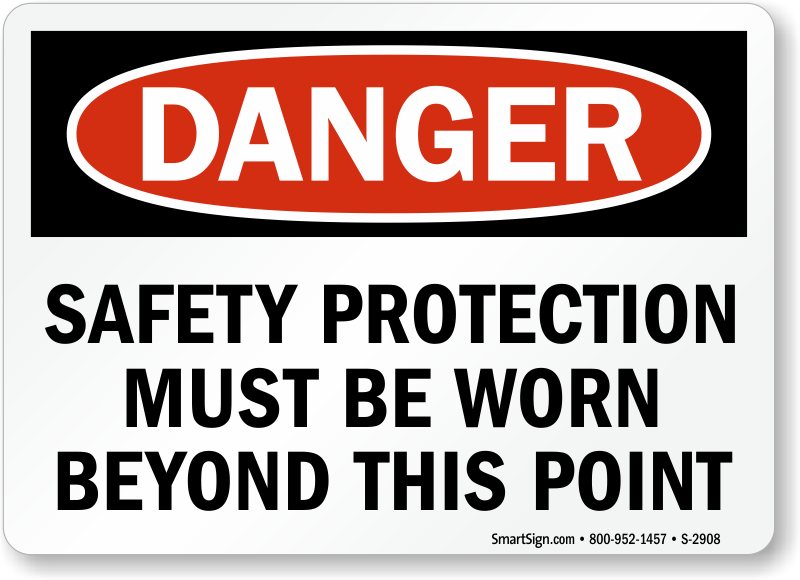 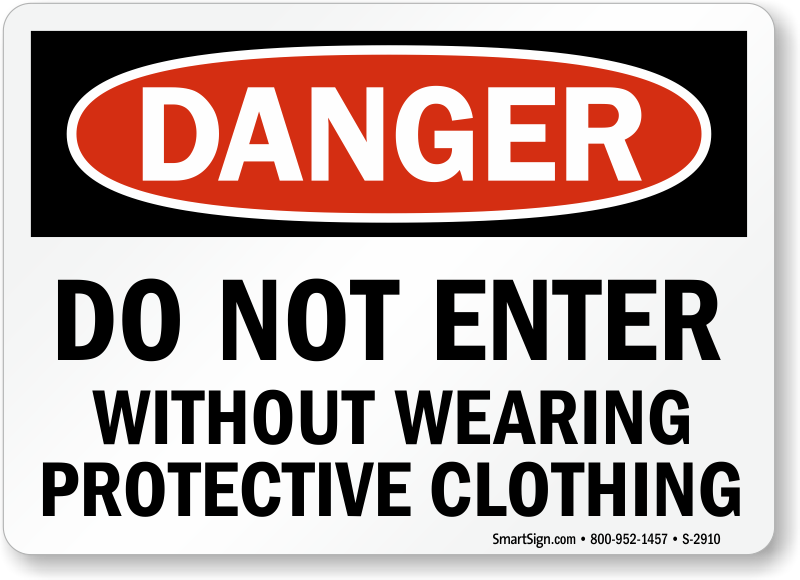 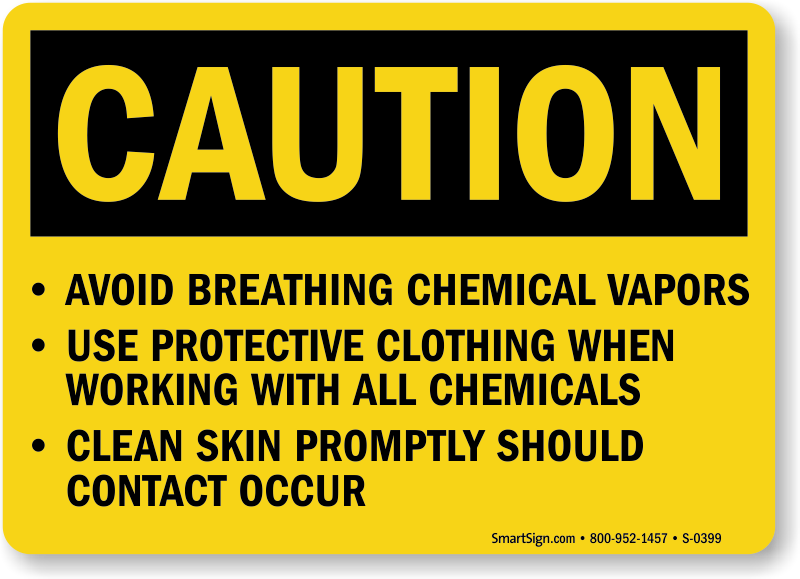 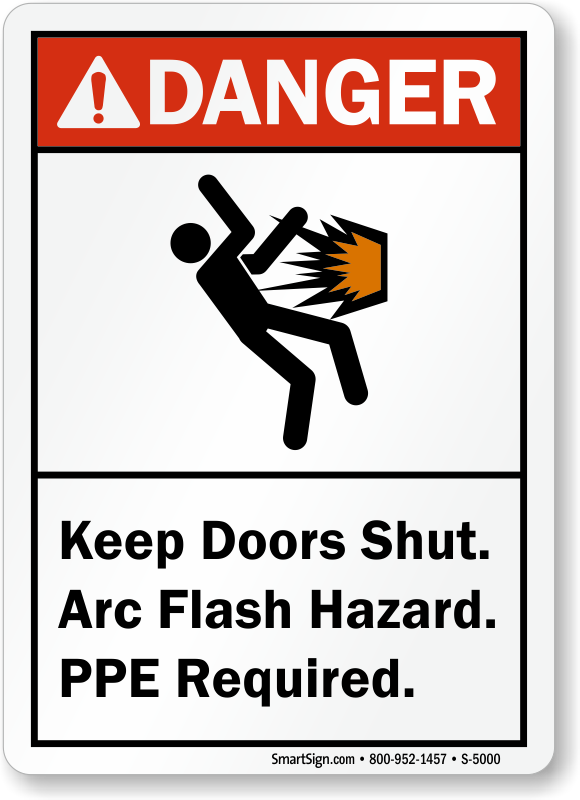 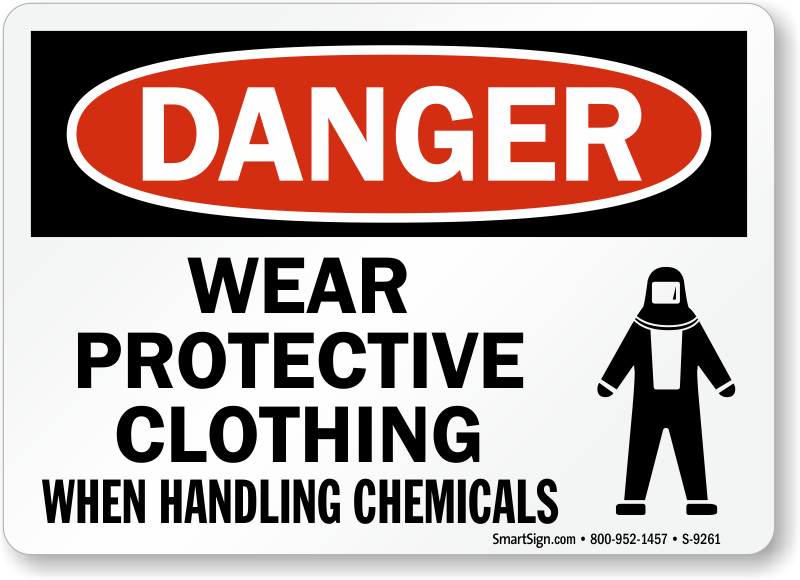 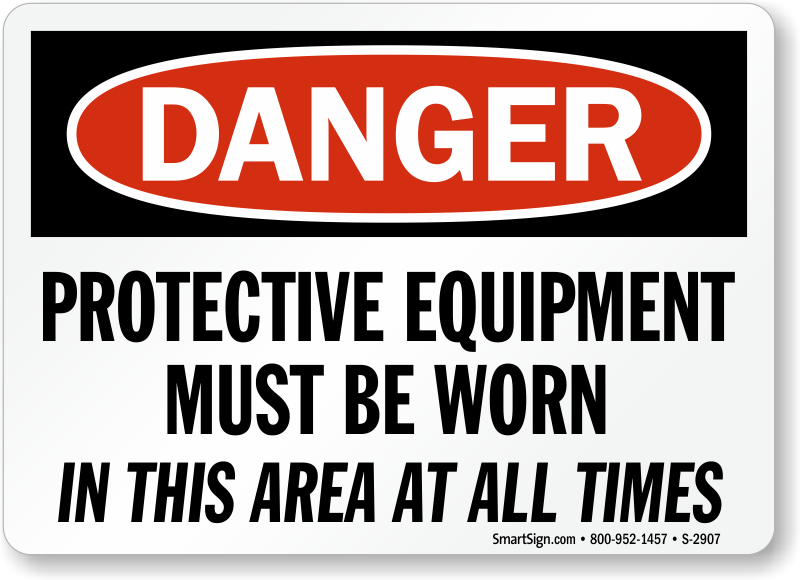 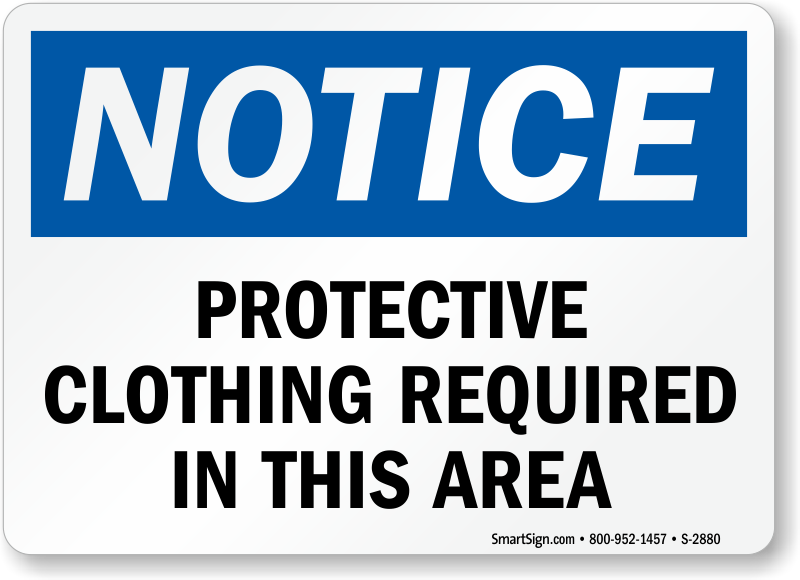 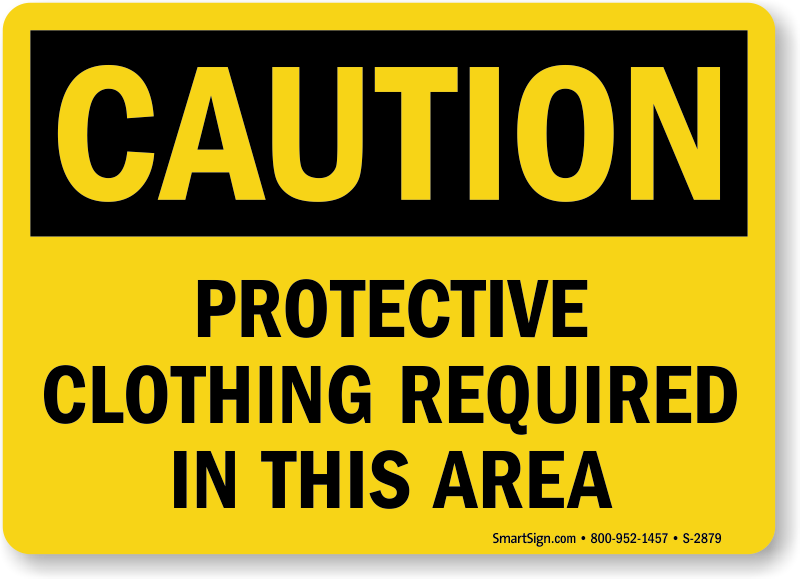 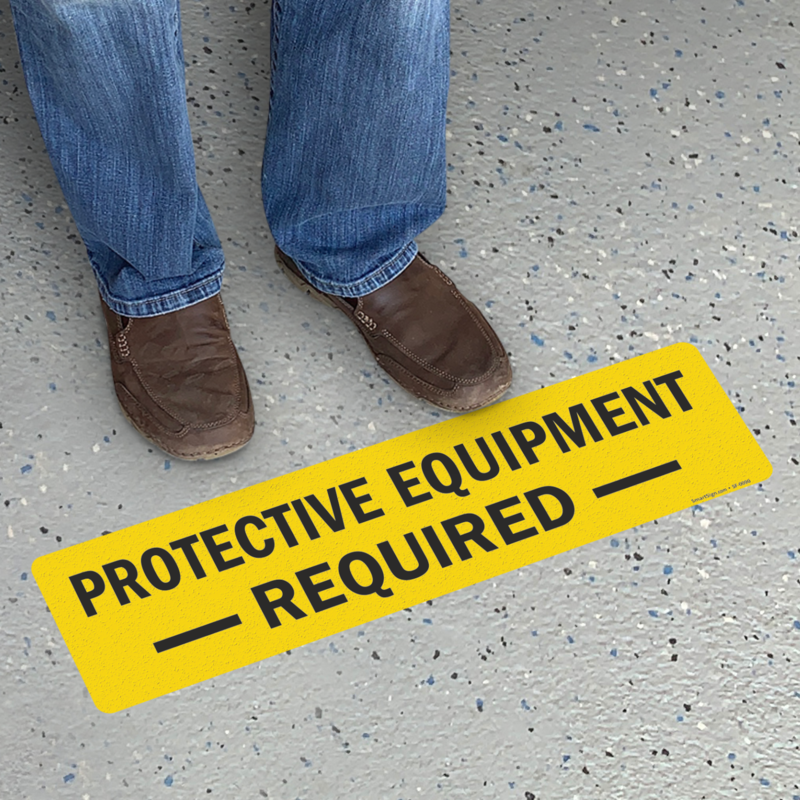 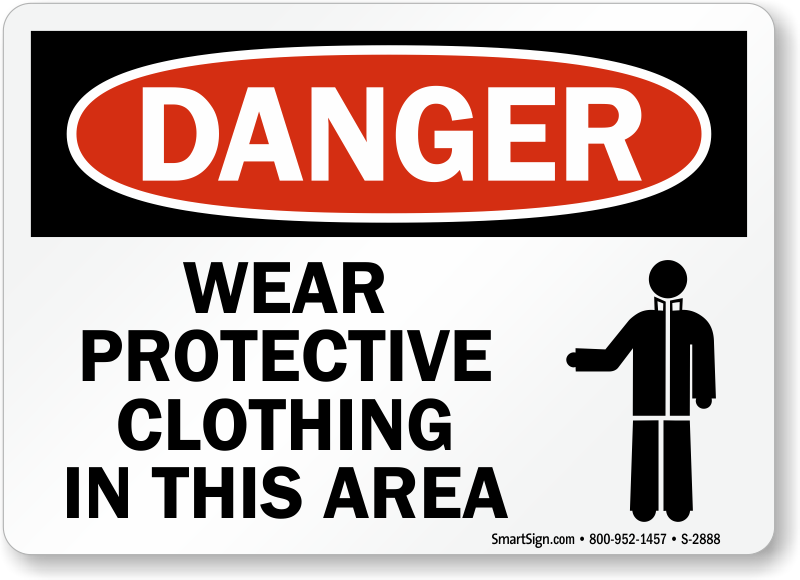 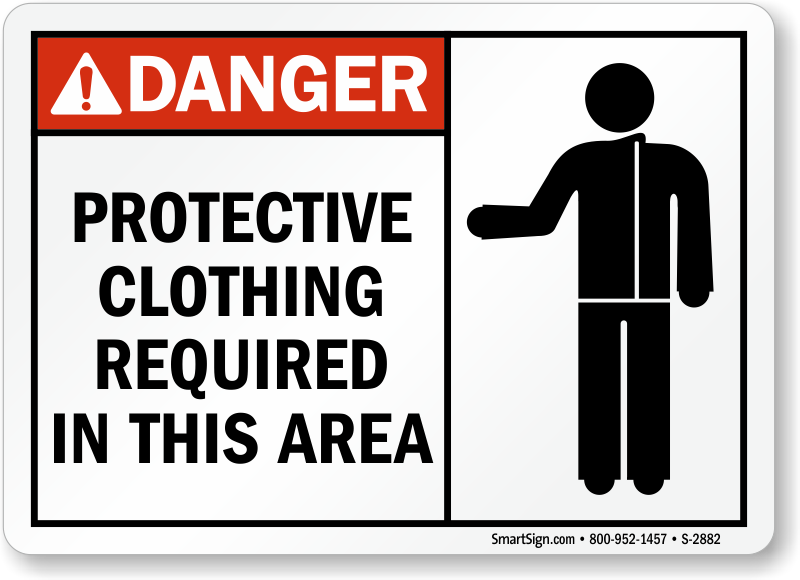 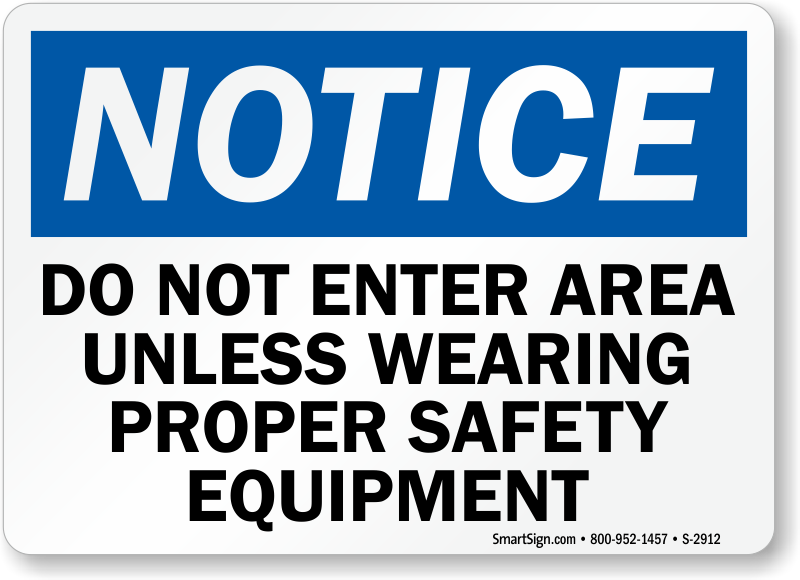 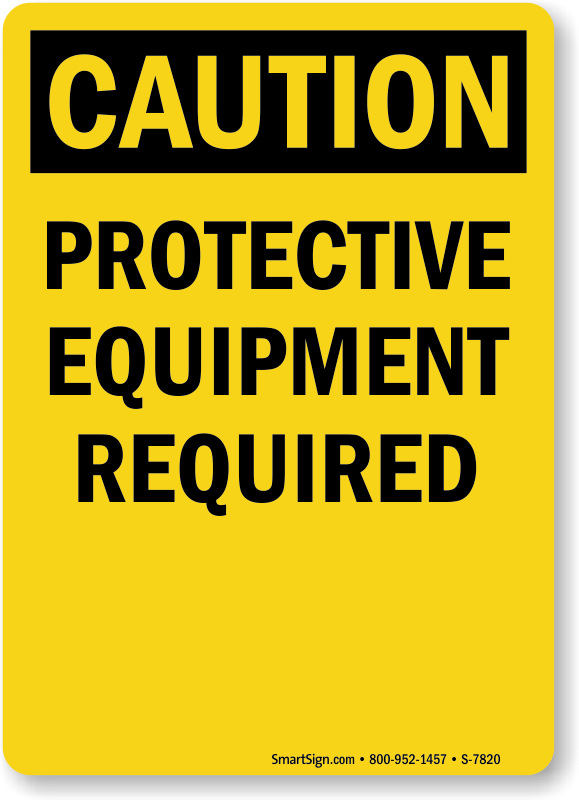 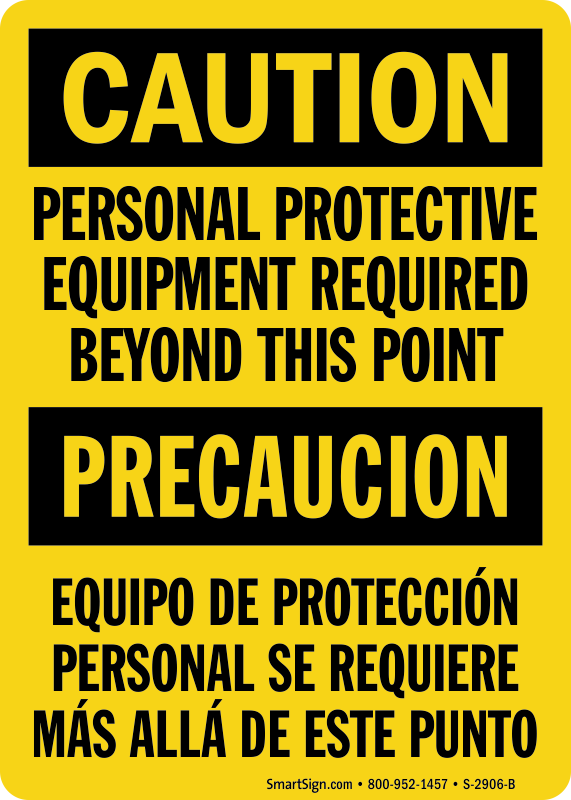 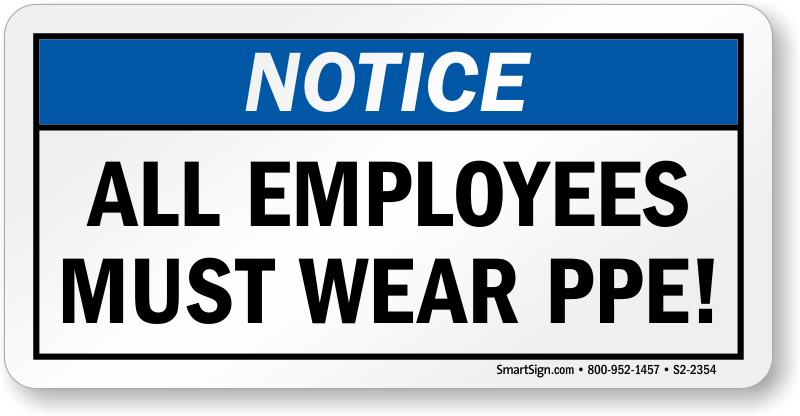 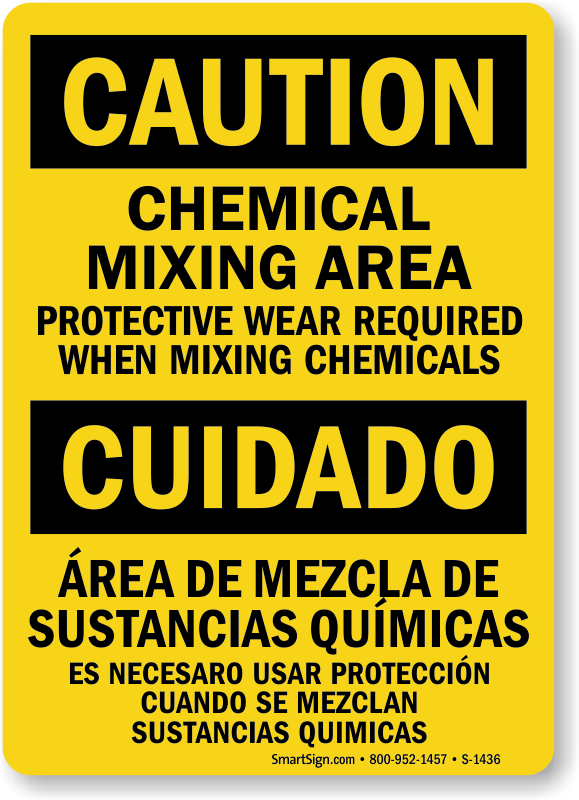 Protective Clothing Signs help ensure that your team is prepared to meet the challenges of work. 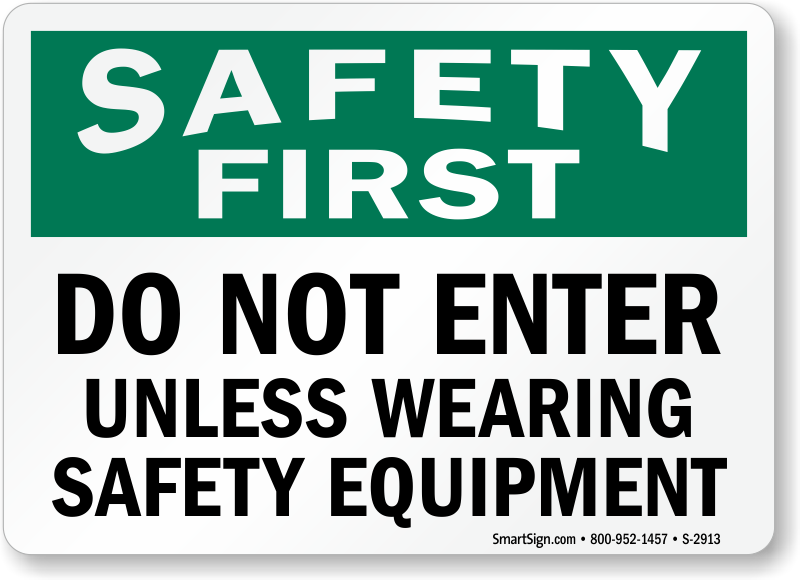 Signs help prevent accidents and save lives. 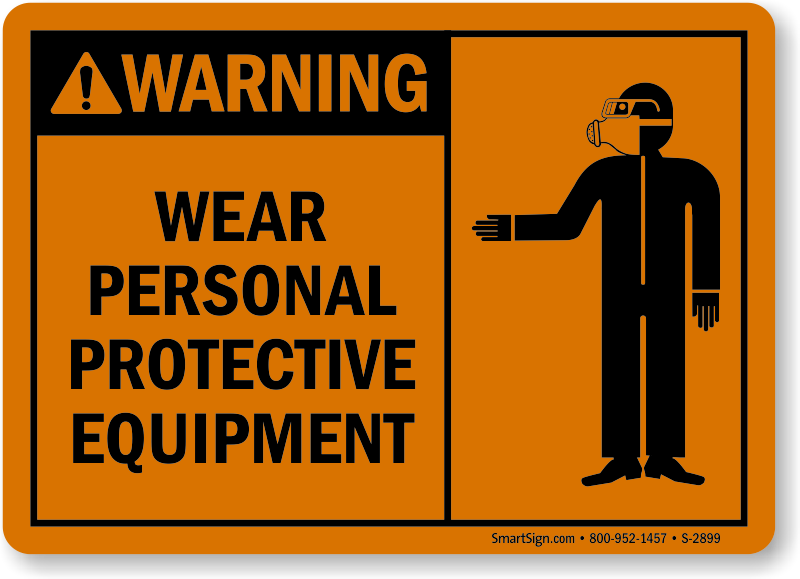 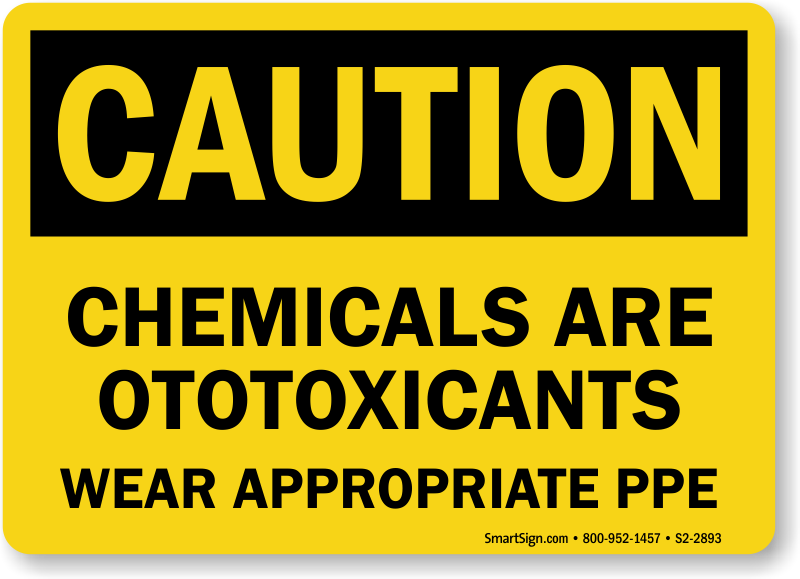 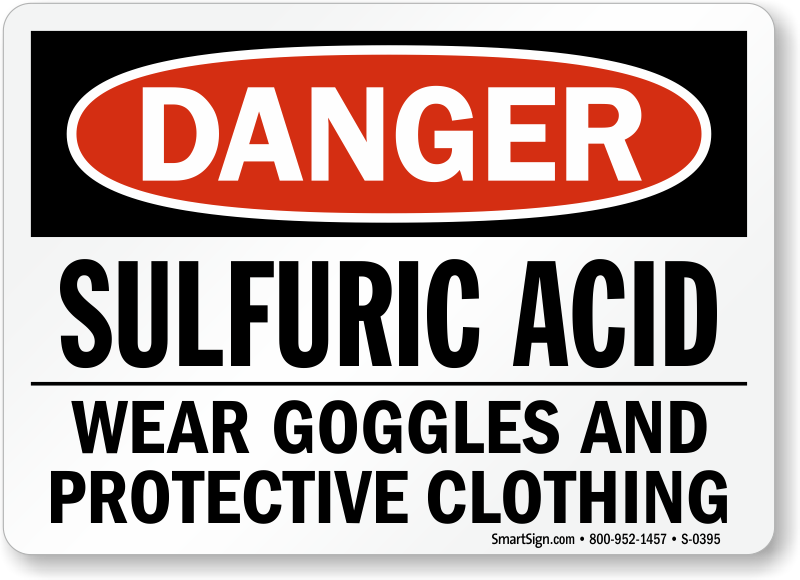 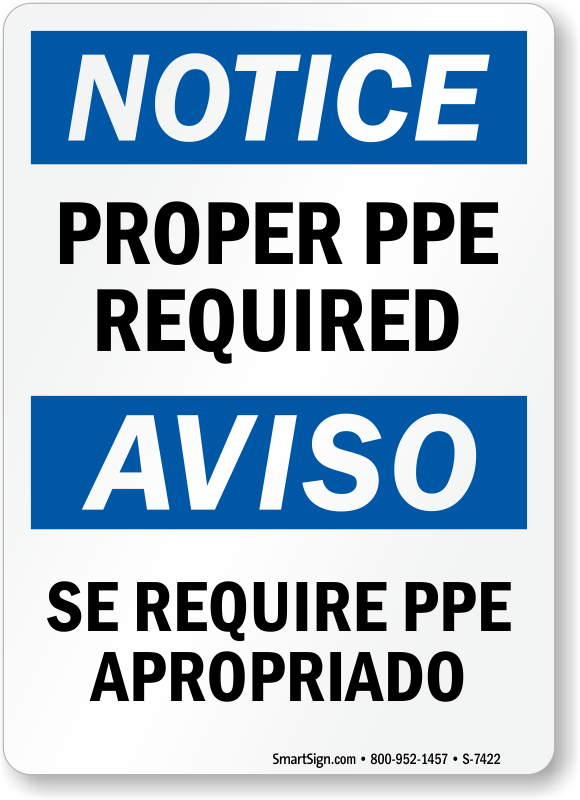 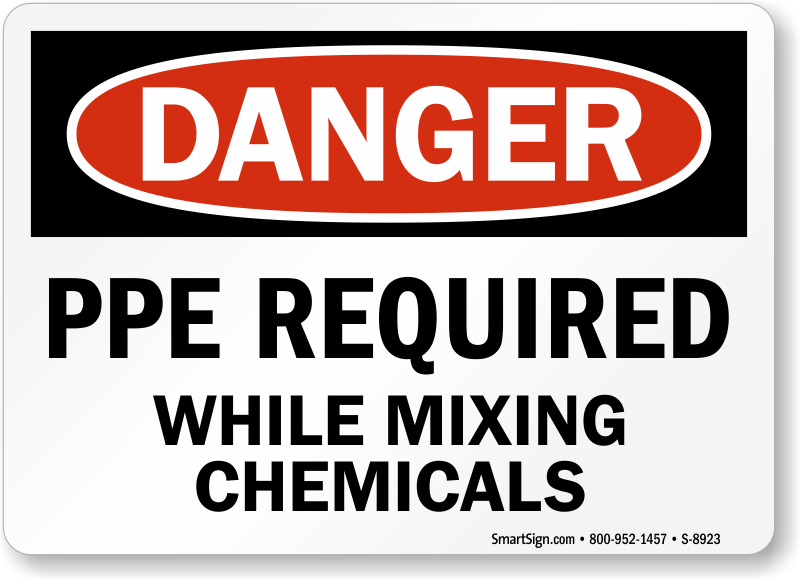 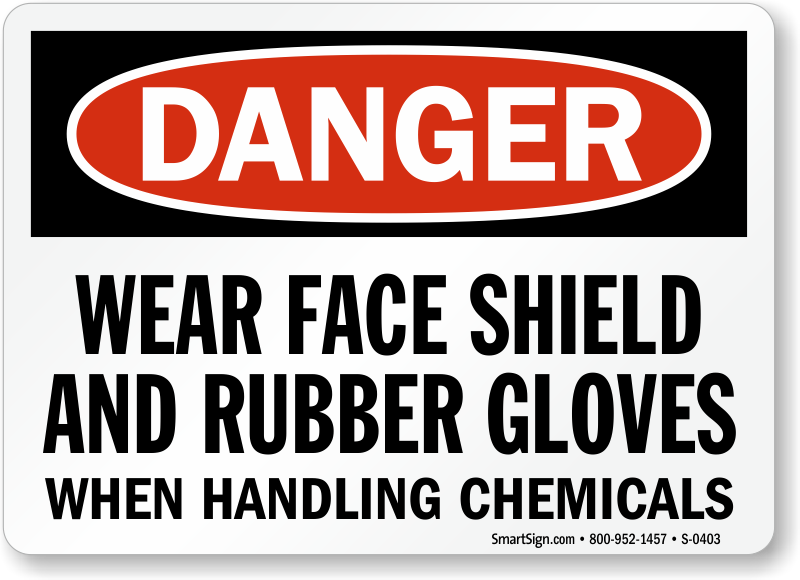 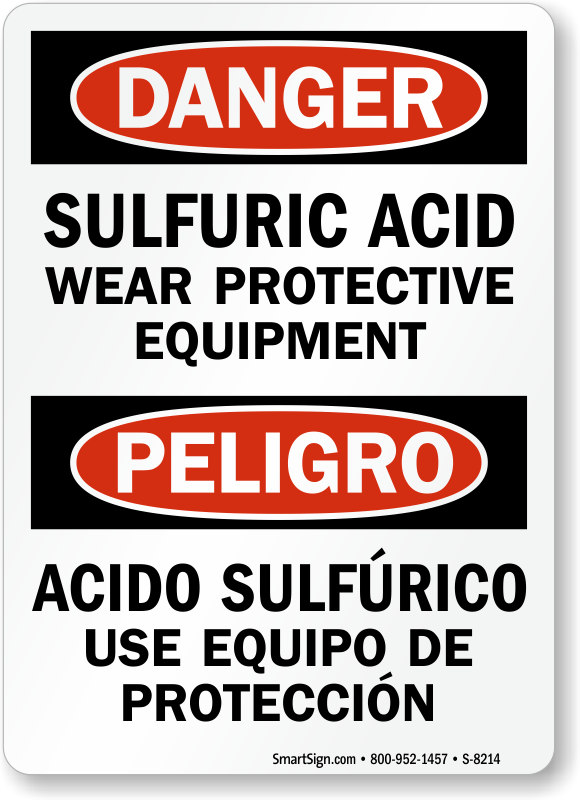 • PPE Templates come as signs or labels. 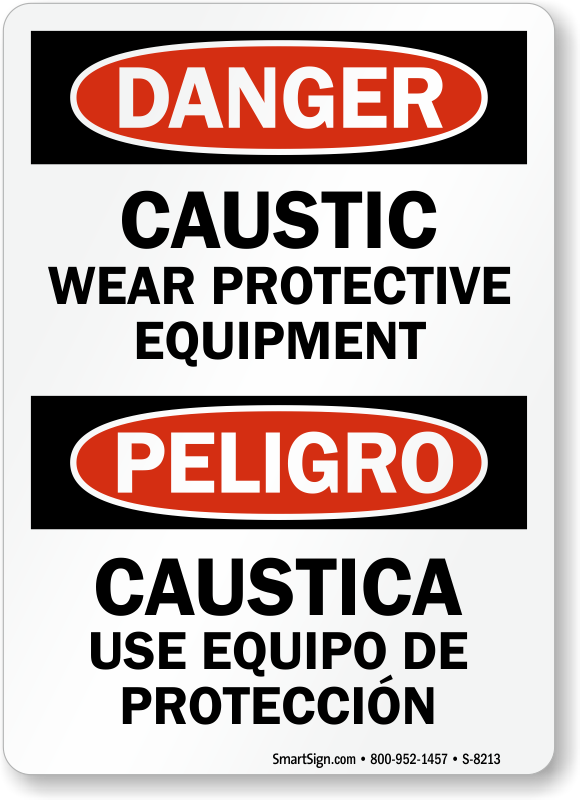 Choose from a variety of sizes and materials. 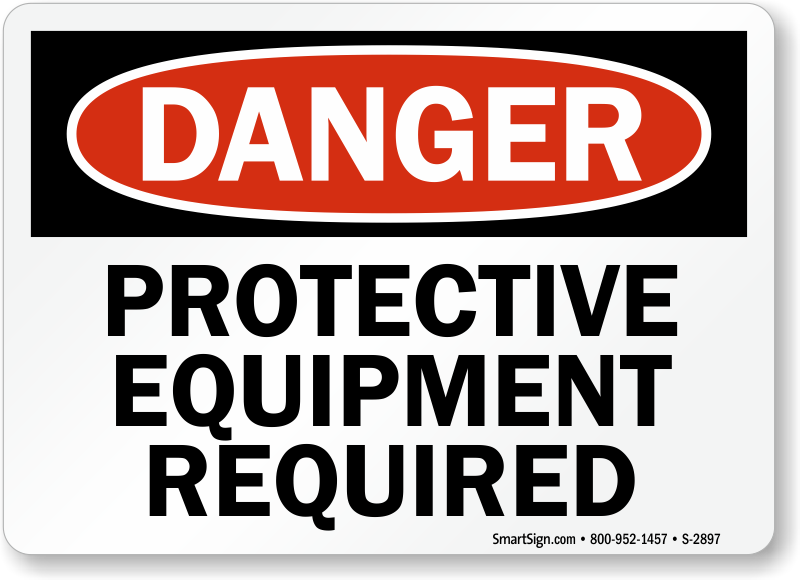 • Durability matters! 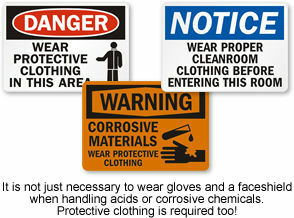 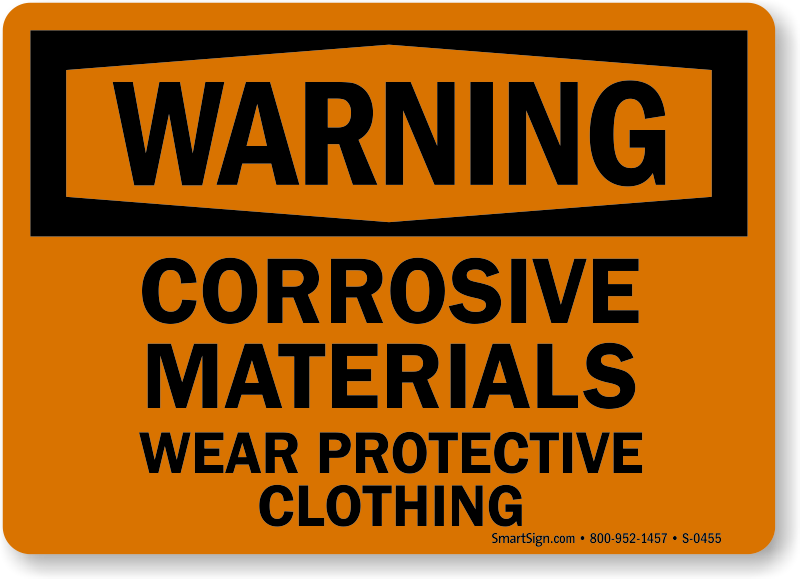 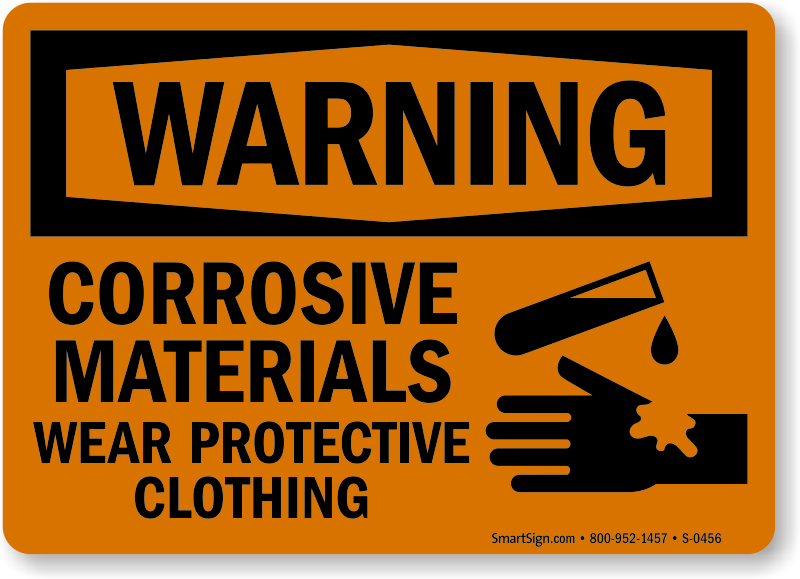 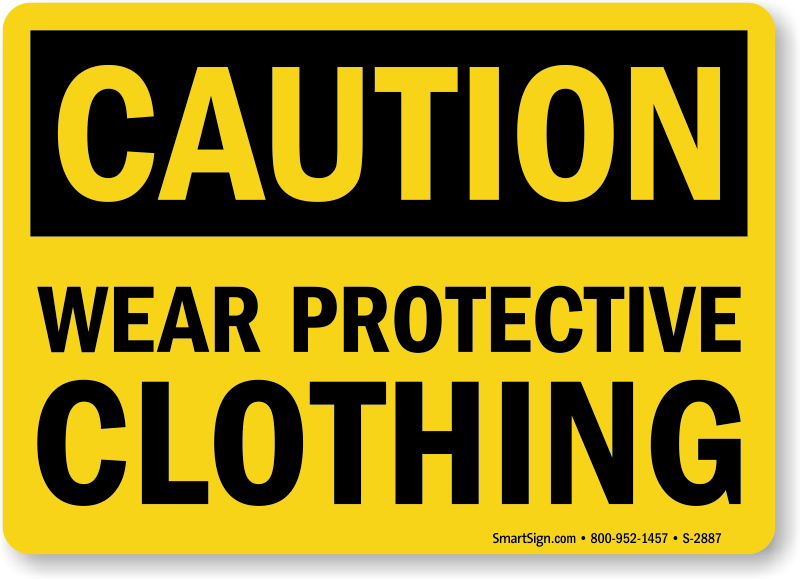 That's why we guarantee that our Protective Clothing Signs will last up to 10 years (and often more). 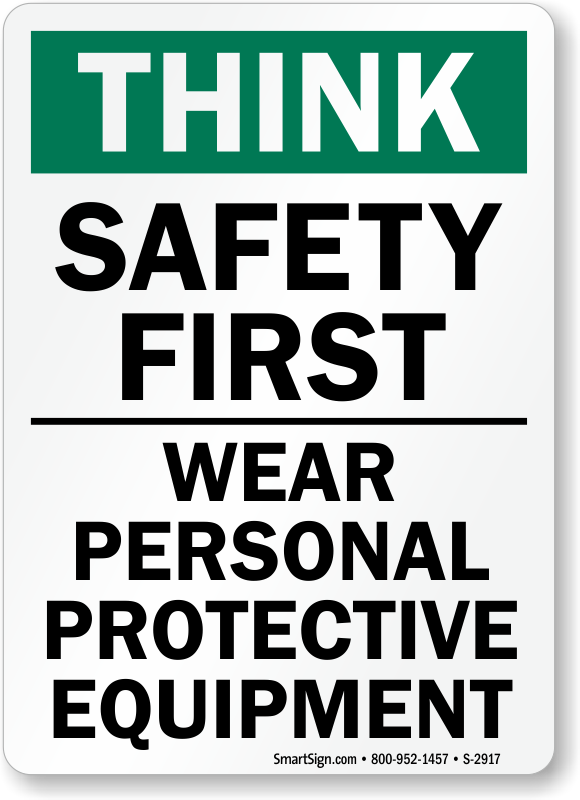 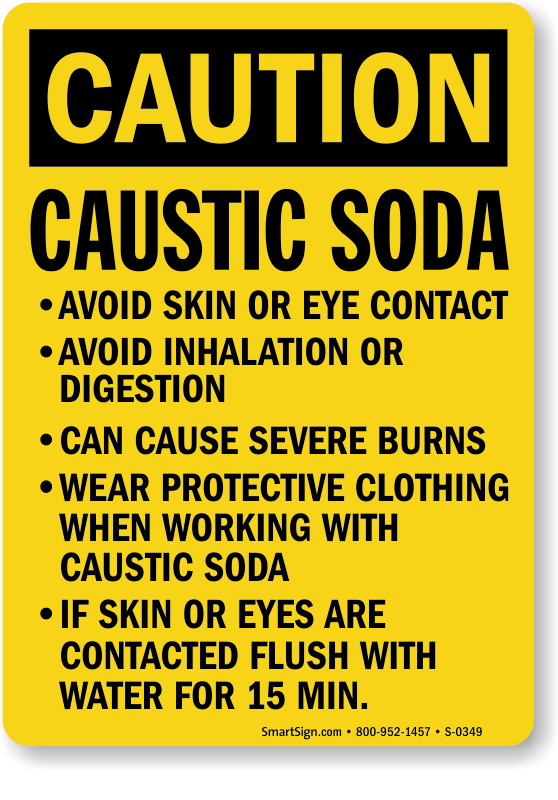 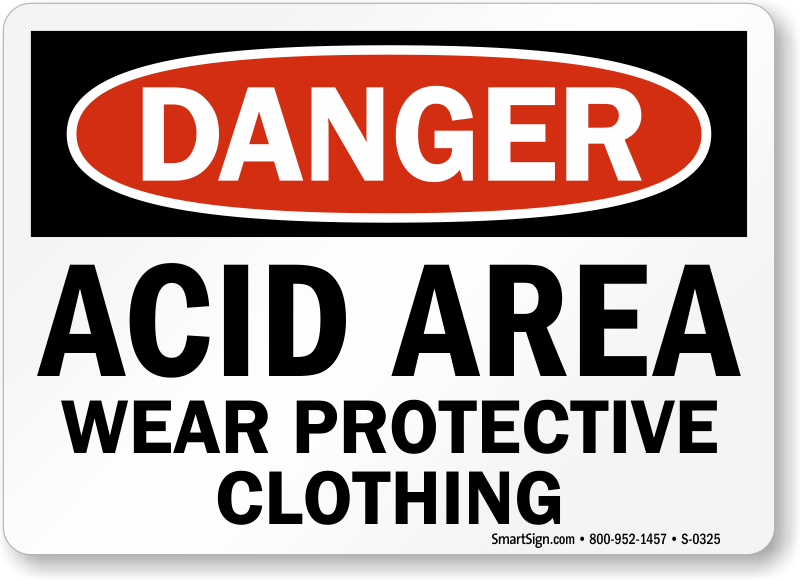 • Click on any Protective Clothing Required Sign for all the details. 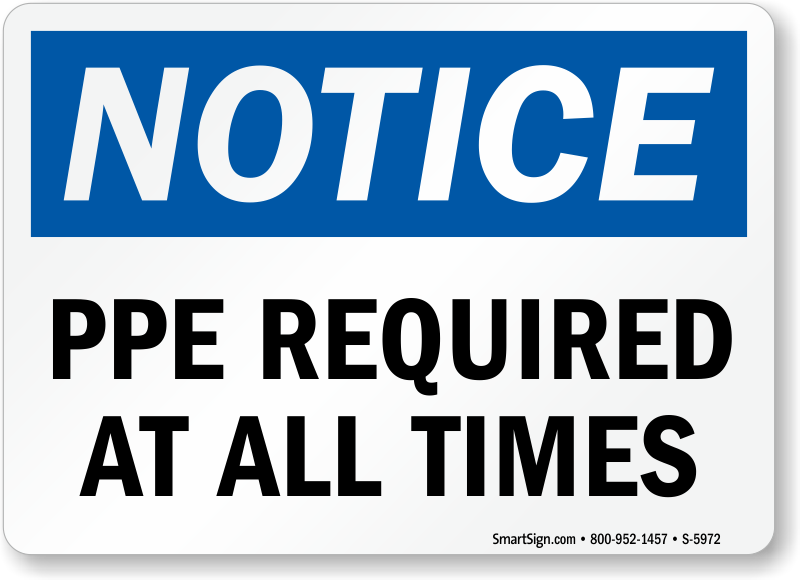 Great signs - heavy adhesive vinyl.